The MHL proudly released its regular season schedule for 2017-18. The 51 year of operations for the league will see the 12 teams play a 50 game schedule. The format for the schedule remains the same as last season, with the two six team divisions (Eastlink North and South) playing within the division six times per season and outside the division three times. In addition, all clubs will play two games at the 2017 MHL Showcase in Summerside, PEI. The season kicks off on Thursday, September 14th when the St. Stephen Aces travel to New Glasgow to take on the 2016-17 regular season champion Pictou County Weeks Crushers at 7 PM. The Aces are coming off their first playoff berth in franchise history while the Crushers will be looking to take their first steps toward recapturing the MHL playoff championship that they won for the first time in 2016. The season kicks into high gear the following night with four games on the slate. The defending playoff champion Truro Bearcats will begin their title defense on this night with a matchup in Yarmouth against the Mariners at 7:30 PM. The Bearcats will raise their fourth MHL championship banner when they host the St. Stephen Aces on Saturday September 16 at 7 PM. Ironically, home will be an unfamiliar place to the Bearcats as 2017 draws to a close. The team will be away from the Rath Eastlink Community Center for the entire month of December while Truro plays host to the 2017 World Jr.A Hockey Challenge. Also on September 15th, history will be made in the MHL as the Edmundston Blizzard make their regular season debut. The team, which transferred from Dieppe, New Brunswick during the off-season, will kick their season off in Woodstock when they take on the Slammers in a 7:30 PM start. The Blizzard will make their home debut on September 29 at the Palladium de St-Jacques when they host the Amherst Ramblers. The Blizzard will experience a rather light home schedule early in the season while they await the completion of their new arena, the Centre Jean-Daigle, which is slated to open in late October. The defending Eastlink North Division Playoff Champions, the Miramichi Timberwolves, hit the ice for the first time in the 2017-18 regular season on Saturday, September 16th when they host the South Shore Lumberjacks. The T-Wolves are coming off their most successful campaign in franchise history in 2016-17, when they captured division title during both the regular season and the postseason. Their season culminated with the organization being named the Roger Meek Executive of the Year award winners at the MHL Draft in June, an event which the Timberwolves hosted. Typically, the two playoff finalists from the previous year meet just three times during the regular season. This year, there will be four matchups between the Timberwolves and Truro Bearcats. Two of those meetings will take place in the same week when the two clubs lock horns in the first game of the 2017 MHL Showcase in Summerside on October 10th at 1 PM. The Bearcats will then make their way to Miramichi for a 7:30 PM matchup on Saturday, October 14th. The final two meetings between the clubs take place in Truro, where the Bearcats will host the T-Wolves in a pair of 7 PM contests on Friday, November 24th and Friday, February 2nd, respectively. The Bearcats/ Timberwolves game will be one of 12 matches taking place during the MHL Showcase on October 10th and 11th. In a change from last season, all games will be played between teams that are from opposing divisions. All games, which will count towards the regular season standings, will consist of two 25 minute periods. The majority of contests will be held at the main rink while a few will be contested on the second ice pad at Credit Union Place in Summerside. The Western Capitals are offering day passes to the event at a rate of $10 for adults and $3 for youth under the age of 17. Full tournament passes will be available for $15 for adults and $5 for those under 17. The Western Capitals will also be reviving an old tradition by hosting a game on New Years Day. At 2 PM on January 1st, 2018, the Caps will take on the Amherst Ramblers at Credit Union Place. It will be the second of back to back games for the Rams, who will host Pictou County at 2 PM on New Years Eve, one of a number of games taking place between Christmas and New Years as the league lifts its holiday break. In something of an oddity, there will be only one date during the regular season outside of the Showcase in which all twelve teams face off on the same night. September 22nd will feature a full six game slate, including the home openers for both the St. Stephen Aces, who face the Woodstock Slammers as well as the South Shore Lumberjacks, who play host to the Miramichi Timberwolves. The final week of the regular season takes place March 7-11, with a heavy schedule of 15 games currently slated. The last games of the 2017-18 MHL regular season will occur in Edmundston on March 11th, when the Blizzard host the Woodstock Slammers. 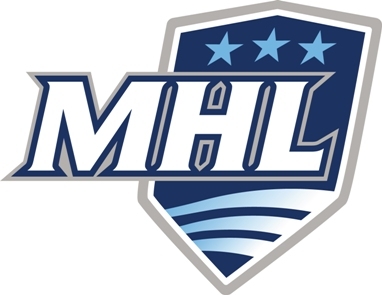 ​Visit www.themhl.ca to access the full MHL pre-season and regular season schedule. All games of the 2017-18 MHL regular season will be available live and online via mhl.hockeytv.com. This is a syndicated post. You can view the original post here: MHL Releases 2017-18 Regular Season Schedule.